James Neiss/staff photographerNiagara Falls, NY - Steve Brown, second from left, and his wife Connie, introduces Niagara University President Rev. 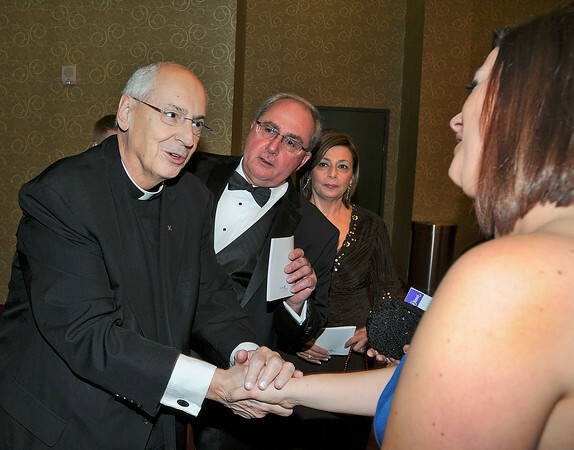 Joseph L. Levesque, left, to family members at the 2012 NU President's Scholarship Dinner at the Niagara Seneca Casino & Hotel. Receiving the St. Vincent de Paul Award at this year’s event will be the Castellani family as well as Harold and Rose Brown and their children.